Compact Introducing guide to one of the most controversial and challenging French philosophers in contemporary philosophy. 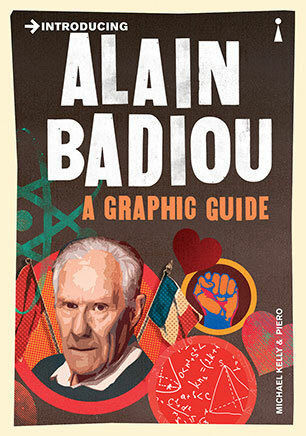 The works of French philosopher Alain Badiou range from novels, poems, 'romanoperas' and popular political treatises to elaborate philosophical arguments engaging with mathematical theory. Throughout all of his writings, there is a staunch commitment to emancipatory politics and radical change through fidelity to what he calls the 'event' and its 'truth'. Badiou's famous, or infamous, philosophy of emancipation is faithful to the communist truth, the universal idea of a collective life, but he also claims that 'philosophy is always a biography of the philosopher'. Michael Kelly is a historian, philosopher and Ph.D. Candidate at the University of Leeds. His research intersects contemporary thought with rigorous, historical research into early medieval existences, and he is very much engaged in the Philosophy of History and the use of the concept of History today. He is a General Editor of both the International Journal for Badiou Studies & Networks and Neighbours, coorganizer of the Philosophies of History and Lacan Read(s) Across the Disciplines seminar series at the University of Leeds.Piero is an illustrator, artist and graphic designer whose work has twice been included in the Royal College of Art in London. He has illustrated many Introducing titles.